Spokane residents will soon be allowed to keep more animals and sell more produce in their backyards. 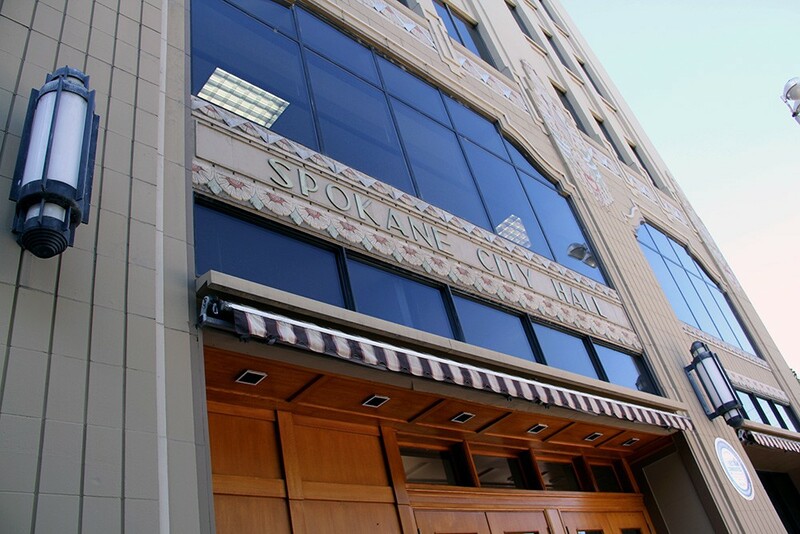 The Spokane City Council passed two ordinances Monday expanding urban agriculture in the city. One allows residents to sell any produce they grow at home; the other allows chickens (no roosters) and small hoofed animals, like miniature goats and pigs, in residential areas. The number of animals allowed is based on lot size and does not impact the already existing limit of four house pets. Both ordinances take effect in about a month. Those who hope to keep animals other than chickens will be required to take a $40 course at WSU's Spokane County Extension. By Monday's meeting, several contentious changes — a requirement that chicken owners take the class, a business license requirement for neighborhood gardens and restrictions on where the gardens would be allowed — were removed. Council members Mike Allen, Steve Salvatori and Mike Fagan voted against the ordinance because of space, smell and noise concerns. Allen, who himself raises chickens, said he didn't support inviting larger animals into urban areas. "Sometimes when I was reading this ordinance," he said, "I felt like I'd landed in an episode of Portlandia where people are trying to create something that may or may not be good for a particular environment." Idaho authorities have charged a 14-year-old Coeur d'Alene boy with two counts of first-degree murder for allegedly killing his father and 13-year-old brother Monday evening. Police say the suspect will be tried as an adult. Coeur d'Alene Police arrested Eldon G. Samuel III on Monday night at the scene of the double killing on the 1300 block of N. First Street. Investigators have identified the victims as the teen's father, 46-year-old Eldon Samuels Jr., and brother, Jonathan. The family had moved to Idaho from California a few months ago. Detectives report Samuel appears to have utilized multiple weapons including a "handgun, shotgun, knife and machete" in the fatal attack on his family. Today, Spokane Rep. Cathy McMorris Rodgers is the chair of the House Republican Conference, the fourth-highest ranking Republican. But getting there she may have made some ethical missteps. Last year, her former spokesman, Todd Winer, submitted an ethics complaint accusing her of improperly mixing campaign and official resources. This week, documents related to the Office of Congressional Ethics' preliminary investigation were released. The OCE came to a unanimous conclusion: There was a "substantial reason to believe" that Rodgers used congressional resources for campaign activities, had a campaign consultant perform official duties and combined congressional and campaign resources to produce a video for a House Leadership office position. While it isn't a verdict of guilt, the OCE recommended the House Ethics Committee investigate these allegations further. "If Representative McMorris Rodgers used official resources for campaign activities, she may have violated House rules, standards of conduct, and federal law," the report says. In a lengthy response to the OCE, McMorris Rodgers' attorney Elliot Burke wrote that they "reject all conclusions reached by the OCE in its report." While two members of the House Ethics Committee will continue its review, it has decided not to appoint a special investigative panel to conduct a full probe.